Hyde Park, NY – The Culinary Institute of America is well-represented in Restaurant Hospitality magazine’s new list of the “25 Most Powerful Multiconcept Operators” in America. 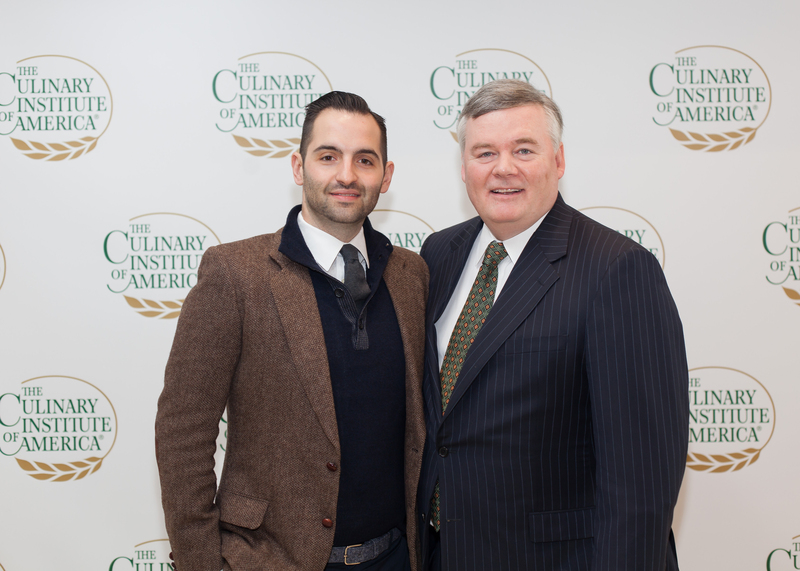 Among the CIA graduates whose restaurant groups made the list are Michael Mina, chef and owner of the Mina Group; Rich Torrisi and Mario Carbone, co-founders of Major Food Group (MFG); and Ron Parker, chief operating officer, and Richard Coraine, chief of staff, at Union Square Hospitality Group. Mina’s San Francisco-based company now has 32 restaurants. Major Food Group and Union Square Hospitality Group are each based in New York City. MFG has 13 restaurants with eight different concepts, and Union Square consists of 14 restaurants. Trustees and fellows of the college named to the list include Mina, as well as Thomas Keller, chef and owner of the Thomas Keller Restaurant Group, known for Per Se and The French Laundry; Daniel Boulud, chef and owner of The Dinex Group, with 20 restaurants in New York City; and Nick Valenti, CEO of Patina Restaurant Group with nearly 60 units across the United States and in Japan. The list was released during the annual Multi-Unit Foodservice Operators (MUFSO) Conference in Dallas, TX on October 3.